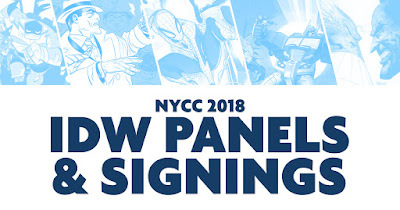 IDW Publishing today announces the company’s action-packed signing schedule for next week's New York Comic Con, featuring exclusive appearances with such fan-favorite talent as Joe Hill, Sam Kieth, Delilah S. Dawson, Alan Robert, Michel Fiffe, Gabriel Rodriguez, Kelly Sue DeConnick, Kieron Gillen, Elsa Charretier, the voice cast of Rise of the TMNT, and so many, many more! ONI PRESS and IDW PUBLISHING PRESENT: Rick and Morty vs. Dungeons and Dragons! Roll for initiative! Join superstar writers Patrick Rothfuss (The Kingkiller Chronicle) and Jim Zub (Avengers, Dungeons & Dragons, Wayward) to talk the Rick and Morty vs. Dungeons and Dragons comic crossover. Learn how this Oni Press/IDW Publishing project came to be, and about the madness that lies within. Moderated by Oni Press Editor Sarah Gaydos. Get the insider’s scoop on what’s new and upcoming from IDW Publishing! Join Editor-In-Chief John Barber and a host of top-secret creators for exciting announcements and behind-the-scenes stories as IDW enters it’s 20th year of publishing the best, widest range of comic books, art books, and more! Come for the best announcements at the show, stay for the QandA! JUST ADDED: Joe Hill and Gabriel Rodriguez! Head to nearby St. Mark's Comics (at 11 St. Mark's Place, New York, NY 10003) to celebrate the first year of Shelly Bond's defiant and utterly badass comic imprint: Black Crown! 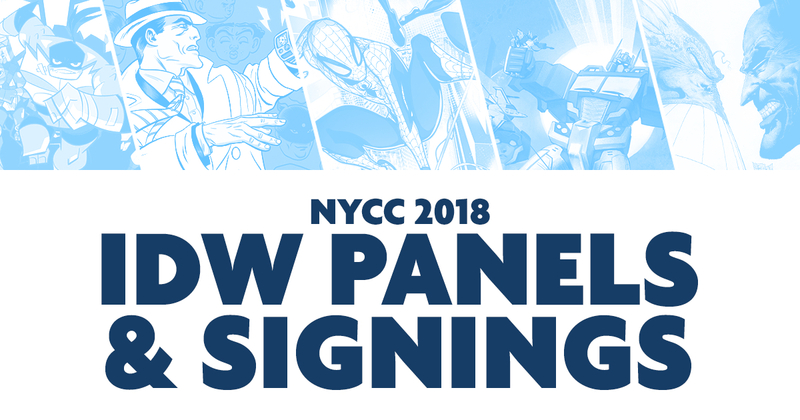 Peter Milligan, Nick Robles, Allison Sampson, Megan Hutchison, Gabriel Rodriguez, and more will be on-hand for autographs. Get your fix of punk rock, art, and alchemy!